Florida is more than just the Sunshine State with its sandy beaches, warm waters and Disney World. One of the fastest growing states in the U.S., Florida is already a great place to operate a business. Established companies realize Florida is the place to be. Hertz moved it’s headquarters from New Jersey to Lee County, Florida, bringing 700 jobs to the area. The car rental company figured out what many business owners in Florida already know. 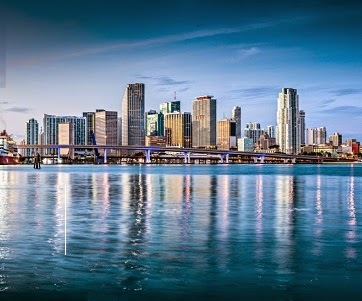 With the help of a Florida business broker, buying an existing business is a great option for entrepreneurs seeking to move to Florida or expand their holdings within the state. Instead of starting from the ground up, a Florida business for sale will most likely include an existing customer base, location and products giving business owners a good head start in achieving their business goals. The tourism and travel industry is the largest business segment in the state. Between Orlando and Miami, as well as plenty of other locations in between, people are constantly visiting Florida or traveling across the state. For businesses geared towards travel and tourism, there is plenty of growth potential. There are several military bases in Florida, primarily along the coast, giving local areas a stable economy that is good for many businesses. Florida has no state income tax, making it one of only seven states in the U.S. without one. The state relies on sales tax revenue, while local governments rely on property taxes. Lower taxes are a boon for business owners as well as residents. The state continues to grow in population as aging visitors return to Florida permanently when they retire, while still others move to the state for a plethora of other reasons. Ranked seventh in the country for population growth, a higher population is good for business opportunities. Not all of that growth is domestic. International visitors are flocking to Florida to purchase homes and build businesses of their own. Many are coming from Brazil, the United Kingdom, Venezuela and other Latin American countries. Tourists visit and return, while many more move to Florida for one good reason: the lifestyle. The Sunshine State is no misnomer. Florida experiences on average more than 200 days of sunshine a year. The climate is mild year-round, compared to other parts of the country and the world, and even when the temperature climbs in the summer, people still return to the beaches and amusements that make the state so famous. Chief Executive Magazine named Florida the second best state in the country for business in 2013. Less regulatory requirements than other states, investments in education, lack of state income tax, rapid growth and a temperate climate make buying and owning a business in Florida a wise investment. Florida Business Brokers can help in the selection and buying process for anyone looking to buy a business in Florida.